Machninarium is a beautiful point and click adventure game by the independant Czech game developer studio Amanita Design: help a young robot find his way back into a vast industrial city and find his best friend, solving puzzles along the way! The game is available for Mac, PC and Linux and can be downloaded for ?12 / $20? / ? 14, along with an MP3 soundtrack. 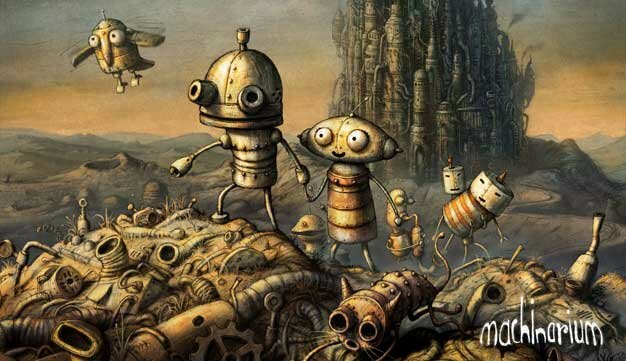 The picture below links to the Machinarium site and a browser playable demo of the game. If you're going to waste ten minutes of your time, do it by playing the demo of this lovely game.